Agencia plans for the future with advisory board. 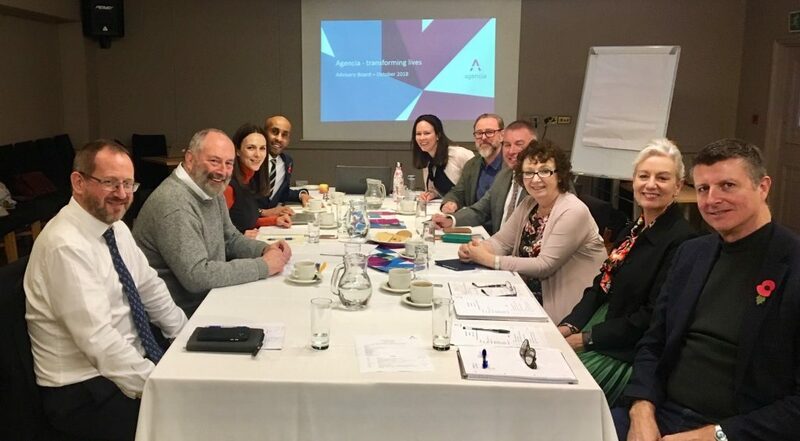 Leading figures with vast experience of health, crime and other social and community issues have stepped up to help a business from East Yorkshire plan the next stage of its national and international development. Agencia, based at Hessle, works to transform lives by improving essential services and has won awards and recognition for projects which have tackled drug use in the UK and supported anti-corruption strategies overseas. Now the company, which was formed more than 20 years ago, has recruited a team of experts for an advisory board which is charged with supporting and challenging Agencia as it shapes its future direction. Members from the Humber area include Kath Lavery – Chair of the Yorkshire Ambulance Service NHS Trust and of Humber Business Week – and Keith Hunter, the Police and Crime Commissioner for Humberside. Other recruits include Marcus Isman-Egal, Programme Manager for Doncaster Children’s Service Trust, Robin Lockhart, CEO of the Through Unity organisation which supports families bereaved by homicide, and Clive Furness, former Newham Mayoral Advisor on Adults and Health and currently Director at The Swift Centre, which is based in London and works with young people to encourage personal growth, resilience and leadership skills. They have been joined by Chris Frean, Foreign and Commonwealth diplomat at the British Embassy in Rabat, Morocco, Barry Snelgrove, Joint Head of the Assurance and Regulation Team at the Ministry of Justice, and Dr Tim Pascoe, a Director of Griffin Research & Consultancy, Catalyst in Communities and Caribbean Crime Prevention International. Agencia’s health projects include developing programmes to reduce drug use and painkiller addiction in North Lincolnshire. Among the successes for the company’s justice experts is an initiative to address corruption, financial crime and money-laundering in Bosnia Herzegovina and a scheme to help the authorities in Kenya combat corruption and associated criminality. In 2017 Agencia was named Best Small Business in the UK at the National Family Business Awards. Helen Gibson, Managing Director of Agencia, said: “We have set our strategic direction, refreshed our brand and invested in our infrastructure to embed our values and attracted an energetic, courageous and inspired team. “Now we want to grow, extend our reach and strengthen our social footprint and we believe that a key step towards this is establishing an advisory board that will constructively challenge and contribute to our strategic direction and enhance our public profile. This will enable us to access new networks, markets and energies as we embark on the next chapter of our story. The initial intention is that the board will meet twice a year with members paid expenses and gaining the experience and contacts which will help them develop their other roles. Be the first to comment on "Agencia plans for the future with advisory board."